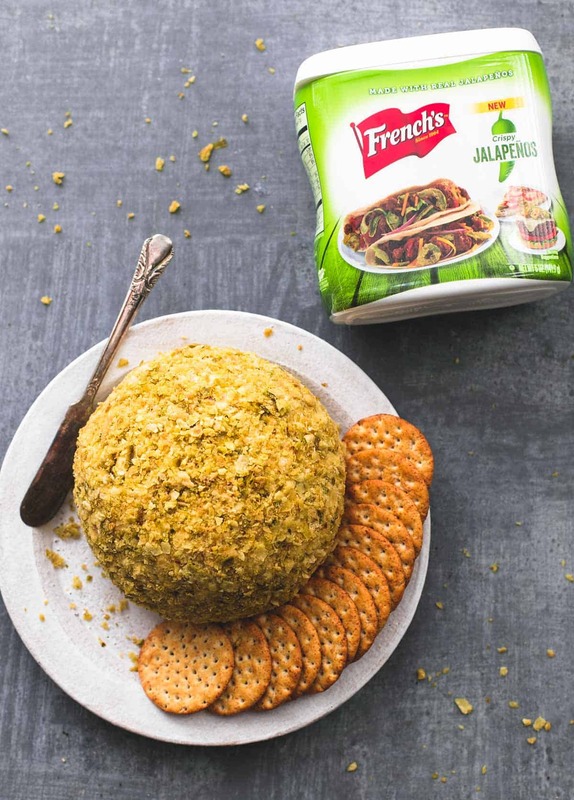 Bold and flavorful cheddar bacon jalapeño cheeseball is the perfect balance of savory and heat in one easy, make ahead appetizer. 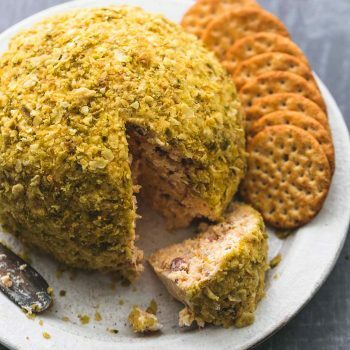 My mother makes a cheeseball every single year for both Thanksgiving and Christmas, and sometimes in between if we have holiday parties, which we always do. So I get my mother’s classic cheeseball probably 3-5 times during this time of year, and I never get sick of it. 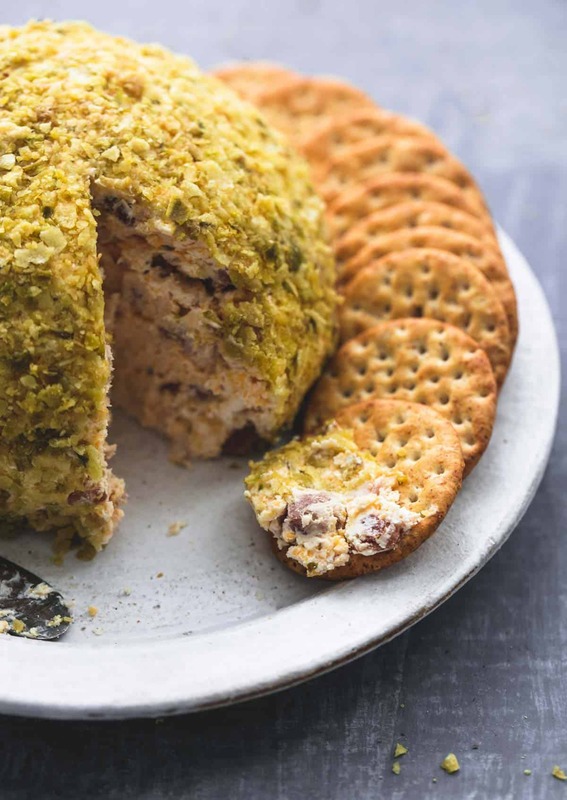 Cheeseball is such a crowd-pleasing appetizer since it’s basically a grown-up version of cheese and crackers you can serve guests and still feel like a sophisticated host, you know? It’s kind of a joke in my family – a joke that is really not a joke, you know those jokes right? – that the day after Thanksgiving we always have to go out for Mexican food because we crave something spicy after all of that even-toned comfort food. It’s become kind of a tradition, Spicy Friday. Heaven knows spicy is my favorite genre of food flavors. <—is that even a thing? Food flavor genres?? Sure. Just go with it. But if Thanksgiving Day could include that spicy kick I love so much? Pretty much all of my dreams would come true. Which is exactly what is happening right now…. 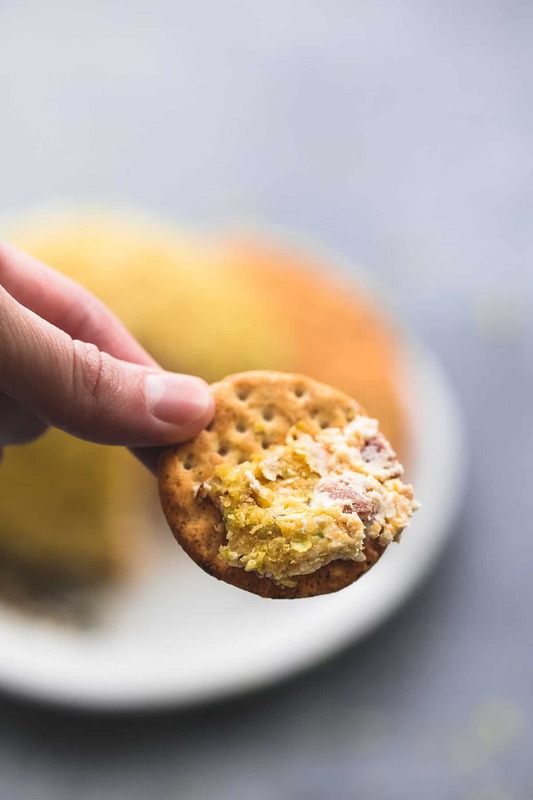 Classic holiday cheeseball, meet your spicy match. So many things I love are happening here. Sharp cheddar cheese and BACON together in one bite can only be made better by one thing: French’s® (new!) Crispy Fried Jalapeños. Honest to goodness I’m obsessed. This is coming from a jalapeños straight from the jar eater. I adore jalapeños, and possibly even more-so when they are fried. I’d eat them plain all day long, but I especially love how they transform a classic or everyday dish into something kind of over-the-top wonderful with that crunchy spicy goodness. This is the perfect appetizer or side dish for your holiday meal – especially when it can be whipped up in about 5 minutes and you can even make it ahead so your holiday season will be less stressful and more delicious than ever. Combine cheddar cheese, cream cheese, Worcestershire sauce, Dijon mustard, and garlic powder in a bowl. Mix until well combined. Lay a 12 by 12 inch piece of plastic wrap out on a clean, flat surface. Transfer cheese mixture to the center of the plastic wrap. Wrap plastic wrap around the cheese mixture and use your hands to shape into a ball (you can do this on the counter or a plate so that one side of the ball is flat). Unwrap cheeseball. 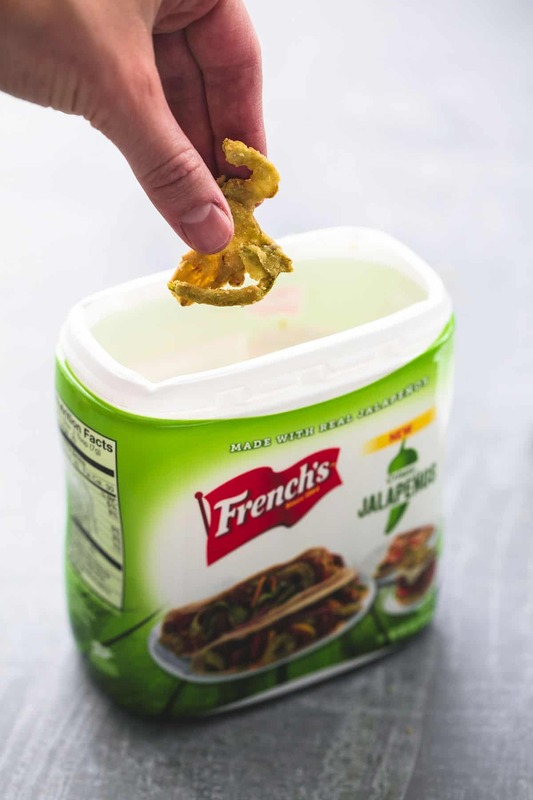 Place crushed crispy jalapeños on a place. Roll cheeseball in the jalapeno pieces so that the outside is covered. (The flat side does not need to be covered). 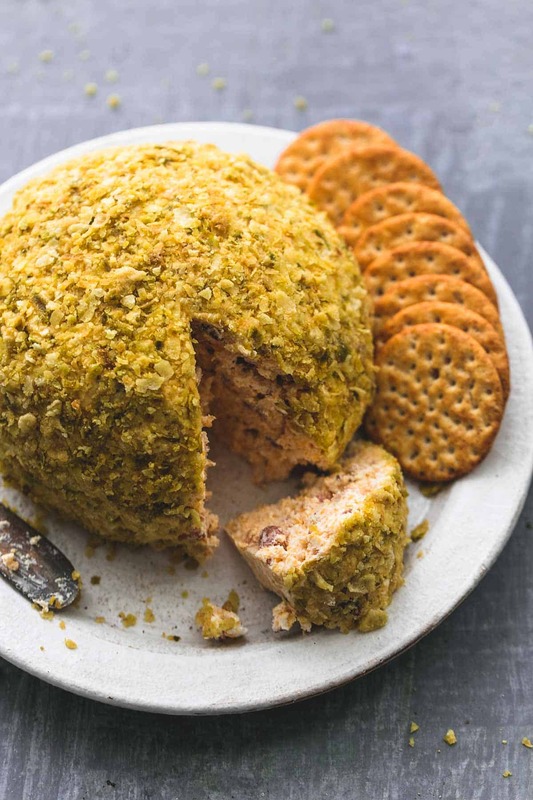 Place cheeseball on a plate and serve with crackers OR cover with plastic wrap and chill until ready to serve (can be made up to 3 days in advance and stored in fridge). Our whole family of 18, LOVED this cheese ball. It was a Thanksgiving appetizer hit ! I will be making this again. Thank you for posting it. Just wondering, what bacon bits did you use….cooked bacon bits or the artificial bacon bits in the jar? Brand?